308, 365, 348, 512, F355, 288, F40, F50, 360, 550. LEATHER COLOURING DYE. High quality colouring varnish/dye having high seizing power. 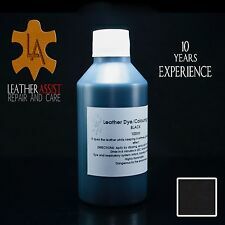 Ensure leather is fully clean before any colouring works has taken place, this will open the leather pores and help the leather dye adhere to it;. Ferrari 355 Gear Gate Condition is Used. Dispatched with Royal Mail 2nd Class. 2011 FERRARI 458 ITALIA 4.5 V8. This has been taken from a 2011 Ferrari 458 Italia with 3,500 miles. INTERIOR LEATHER TRIM BEHIND SEATS. This item can be collected at no extra cost from one of our 3 yards. 308, 365, 348, 512, F355, 288, F40, F50, 360, 550. LEATHER Extra Strong GLUE AND FILLER REPAIR KIT. Leather glue – 15ml. Use your fingers to carefully spread the hole open. Using the application brush apply glue between leather and sub patch as well as on the edges of the crack or hole. Part # 117384. Manufacturer Part Number 117384. Should you wish to collect an item, this can only be arranged and details disclosed after the sale has completed . Google Us! Perfect gift for the enthusiast or for your collection! As pictured. FERRARI F430,COUPE,SPIDER. TUNNEL PLATE,BOTTOM PART. Item is marked on the diagram as number #51, with red circle. RED LEATHER. point 1 to point 6. before you take it and before you sign for it. After purchasing an item you prove that you agree. Presented in perfect condition and perfect if your gear knob is starting to look a little tired. Genuine Sabelt Ferrari challenge F430 race seat. Full carbon fibre. Manufacturer Part Number 60053600. 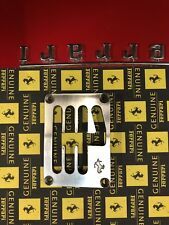 Ferrari Large Interior Switch known to fit the following models 512 BB/BBi. Ferrari # 109820. Manufacturer Part Number 109820. WE ARE A SUPPLIER OF FERRARI PARTS. P/N 651582, 651584. FERRARI 360 SPIDER, MODENA, CHALLENGE. COVERED LOWER CONSOLE. P/N 653051, 657128. FERRARI 360 SPIDER, MODENA, CHALLENGE. REAR SIDE TUNNEL COVER. Original Ferrari 275 330 gear shift knob in excellent condition. 360 Modena, 360 Spider, 575M Maranello. This car part is suitable for the following models. Original Ferrari 250 cigarette ligher, as fitted to the many variations of the 250 series during the 60’s. P/N 68094704. FERRARI F430,COUP. CENTRAL TUNNEL COVER,UPPER PART. After purchasing an item you prove that you agree. point 1 to point 6. The color is cream, also the stiches. before you take it and before you sign for it. Ferrari # 61415000. Manufacturer Part Number 61415000. WE ARE A SUPPLIER OF FERRARI PARTS. P/N 657287. FERRARI 360 SPIDER, MODENA, CHALLENGE. FERRARI 360,MODENA SPYDER. CENTRE TUNNEL COVER CARPET. The price is for 1 pcs. The item is marked on the diagram as number #28 and number #29, with red circle. SCREW AND WASHER FOR TUNNEL COVER. SCREW AND WASHER. FERRARI 360 MODENA,SPIDER. CENTRAL UPPER TUNNEL COVER. After purchasing an item you prove that you agree. point 1 to point 6. before you take it and before you sign for it. It is in perfect condition! P/N 657286. FERRARI 360 SPIDER, MODENA, CHALLENGE. Suitable for: 360 Modena / Spider. Condition: Used (very good condition). Within 48 hours We will give an answer back. WE HAVE A LOT OF CAR-BROCHURES, OWNERS MANUAL, PRESS KITS ETC. SEE OUR WEBSITE FOR MORE! P/N 181068. FERRARI 360 SPIDER, MODENA. DASHBOARD COVER. After purchasing an item you prove that you agree. point 1 to point 6. It is in perfect condition! before you take it and before you sign for it. P/N 13301770. FERRARI 360 MODENA,SPIDER. The part is marked as number #59 and number #19 on the diagram with red circle. After purchasing an item you prove that you agree. point 1 to point 6. Conditions for accepting an item. P/N 691664. FERRARI F430,COUPE,SPIDER. CENTRAL TUNNEL COVER,UPPER PART. TUNNEL COVER. After purchasing an item you prove that you agree. point 1 to point 6. The color is wine red, also the stiches. Ferrari F360 Modena,Spider,Challenge. before you take it and before you sign for it. FERRARI F430 Coupe,Spider. CARBON,UPPER CENTRAL PLATE,AIR DUCT PLATES,LEFT,RIGHT,Badge. Fits: Ferrari 430 COUPE, 430 SPIDER. Parts your are buying are marked on the diagram with red circle. point 1 to point 6. 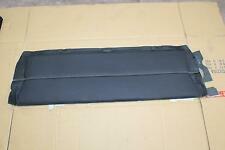 For sale we have a Genuine Ferrari Seat Cover Set in Red, genuine Part. For Sale is a 2012 FERRARI FF O/S OFFSIDE DRIVERS SIDE DOOR LOCK AND DOOR LATCH ASSEMBLY. 2011-2014. Please see item description for more information you will receive everything you see in the images. 458 Italia, 458 Spider, 458 Speciale and F12 Berlinetta. This is a set of 2 Genuine Ferrari Carbon Fibre F1 Shift Paddles. Sold by Graypaul Ferrari&Maserati Nottingham. You are looking at a genuine gearknob for a 6 speed Ferrari (550, 575M, 355 etc) Needs refurbishment as some of the lacquer has peeled. Sold as needing work, please see photos. 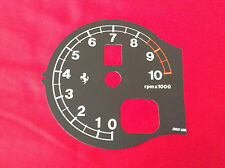 Please see my other items for other Ferrari parts.